Incorporate granite floors in your home today! You are renovating your master bathroom, and you want a flooring material that is highly durable as well as aesthetically pleasing. Granite floor tiles are a great option for any room in your home and will add significant value to your property after installation. Although granite is seen more in kitchen countertops, the natural stone is slowly growing in popularity for flooring among homeowners. There are several reasons why you should install granite floors into your home today! Out of all the natural stones that are available for floors, granite is the strongest and the most durable. So granite floors can withstand all of the foot traffic and all of the wear and tear that occurs in your home. Once your granite flooring is properly sealed, it resistant to water and any other moisture. So, it is a perfect option for your bathroom and kitchen. 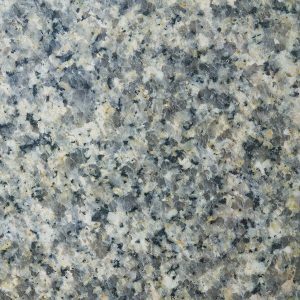 Granite is also scratch and heat resistant, so it will survive any accidents that come its way. Granite is very simple to care for so, you won’t have to exert that much time and energy for your floors to look new all year around. Granite is very easy to clean, and you only need to sweep every few days to avoid dirt from accumulating. Once sealed, granite floors require a light mopping with warm and soapy water. Sealed granite floors are a great investment because they are stain resistant. Just like marble and other natural stones, granite floors add value to your home after installation. Granite floors are a sought after feature for home buyers and will make your home more likely to sell once you put it on the market. Granite floors will benefit you and future homeowners for years to come. Rock Tops Fabrications uses the latest technology to ensure that your new kitchen or bathroom is designed, cut, and finished exactly how you want it. We have over a decade of experience and have been constantly improving our services and offerings to meet the diverse needs of our customers. If you are in the Maryland, D.C., or Virginia area and looking for a beautiful new remodeled kitchen, give us a call at 410-363-4257. For more information and tips on making your home your own, follow us on social media at Twitter, Facebook, YouTube, Google+, Pinterest, and Houzz. This entry was posted on Friday, September 1st, 2017 at 2:49 pm. Both comments and pings are currently closed.